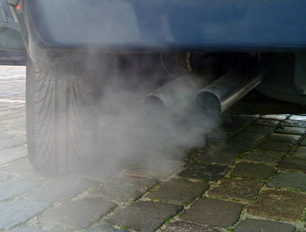 Exposure to methanol is common through car exhaust. Methanol is a naturally occurring volatile organic chemical found in trace amounts in fresh fruits, vegetables and throughout the human body. It's used industrially as a solvent, paint remover, antifreeze in gasolines, and in pharmaceuticals. It's also found in some fracturing fluids used by the natural gas industry for hydraulic fracturing (also known as “fracking”). According to the HSDB, “humans and non-human primates are uniquely sensitive to the toxic effects of methanol,” which include skin irritation, vision problems and, according to the EPA, neurological damage in the form of permanent motor dysfunction. Although it is not considered a carcinogen, long term exposure can lead to a number of vision problems, including blindness. Most treatment technologies that remove gasoline components from water, including air stripping and granular activated carbon, are not effective at removing methanol due to its low volatility and high solubility. Reverse osmosis or nanofiltration are also ineffective at removing methanol because of its small size and low molecular weight. Instead, the report recommends ozonation with ultraviolet light or “biological treatment processes.” Luckily, methanol biodegrades rapidly, and is generally not expected to be present in water.